On the fourth Sunday of every month, we would ask those who would like to donate food for the Storehouse in Dunmurry to bring it to church and leave it in the little cloakroom at the back of the church. Lee Boal, a Storehouse volunteer collects it and brings it to the Storehouse where it is distributed. Each package provides everything that the family or individual will need for 3 days. We currently provide anything from one off requests to continued support over 4-5 weeks. 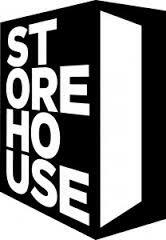 By partnering with established and skilled charities and organisations, Storehouse is able to go beyond short term aid, providing opportunities for long term solutions which see lives dramatically changed. We work hard with our partners to help people move away from the need of support, to prevent dependency and encourage sustainable, healthy lifestyles. Old furniture such as beds, sofas, armchairs and mattresses is also welcome. Any donation, no matter how small will be very much appreciated.